A Google Analytics KPI dashboard enables you to track and report on all your Google Analytics data in one convenient spot. It's as easy as linking your Google Analytics account and selecting the KPIs you want to track. If you're running a small business or are in the marketing industry, you're probably using Google Analytics to track things like web analytics, search engine optimization, and the return on investment of Google AdWords campaigns. In addition to tracking Google Analytics data, you can also link your other marketing channels for a comprehensive picture of your digital marketing efforts. What is a Google Analytics KPI dashboard? A Google Analytics KPI dashboard is the easiest way to track Google Analytics key performance indicators in real-time. Everything from long-term SEO strategies to pay-per-click campaigns can be tracked and reported on from one single dashboard, allowing you to keep on top of your clients' (or your own) website performance, and thus optimize your website or marketing campaigns. Why use a Google Analytics KPI dashboard? Your client's websites (or your own business' website) involve a lot of data that you need to keep on top of. A Google Analytics KPI dashboard lets you create custom reports containing only those important KPIs that you want track. A centralized Google Analytics dashboard will also simplify the reporting process pulling data automatically from all your digital marketing channels. What are the benefits of using a Google Analytics KPI dashboard? If you're in the marketing game, a Google Analytics KPI dashboard will help educate your client on what you do, and showcase your positive results and all your hard work. If you're using Google Analytics for your own business website, you'll quickly and easily be able to track your key metrics so you can increase web traffic, increase customers, and increase profit! Create your own Google Analytics dashboard today! What are the best Google Analytics dashboard KPIs? There are a ton of key metrics you can track using Google Analytics. Here are a few of the top ones you should include in your dashboard. 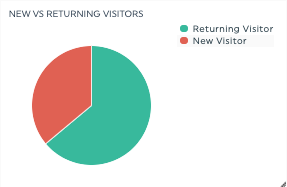 This metric shows you the percentage of visitors to your website that are new visitors versus visitors who have previously gone to your website. 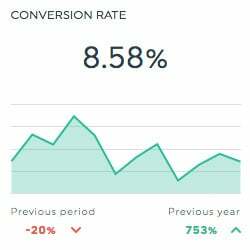 Conversion rate is the percentage of your website’s visitors who take a desired action, such as starting a free trial, purchasing a product, signing up for a newsletter, or other. 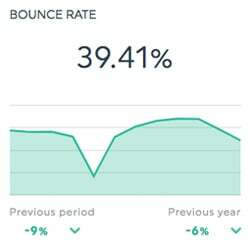 Organic search performance shows you how your website is ranking and converting for organic searches. What are the top Google Analytics Dashboard metrics? It's essential that you're tracking the right Google Analytics metrics in your dashboard - the key is to select only those metrics that give you actionable data and help you achieve your business objectives. This metric shows the number of and sources of traffic that came to your website, regardless of search engine. This metric shows the average amount of time a visitor spends navigating through a website. This metric shows the total number of conversions that Google AdWords measure across all conversion actions. This metric shows you how much money has been made through your website per visit to your website. See all these KPIs and metrics in your very own Google Analytics KPI dashboard! What platforms should a Google Analytics KPI dashboard include? Apart from Google Analytics, your dashboard should include all the platforms you're currently using for digital marketing, PPC, or SEO. This way, you'll be able to see how your online marketing efforts interact with one another and give you valuable information about user engagement, website traffic, and marketing KPIs. DashThis' Google Analytics KPI dashboard sample gets your sales and marketing team off to a running start. It includes preset KPIs, multiple available data sources, and easy-to-use features. Whether you choose from among our preselected Google Analytics KPI dashboard templates, or create your own from scratch; it's all a matter of dragging-and-dropping the KPIs you want! Create your own Google Analytics KPI dashboard today! LinkedIn is great for B2B marketing, but you've got to be able to properly track your content marketing efforts and ads. A LinkedIn dashboard will let you do just that. PPC campaigns involve a lot of data. 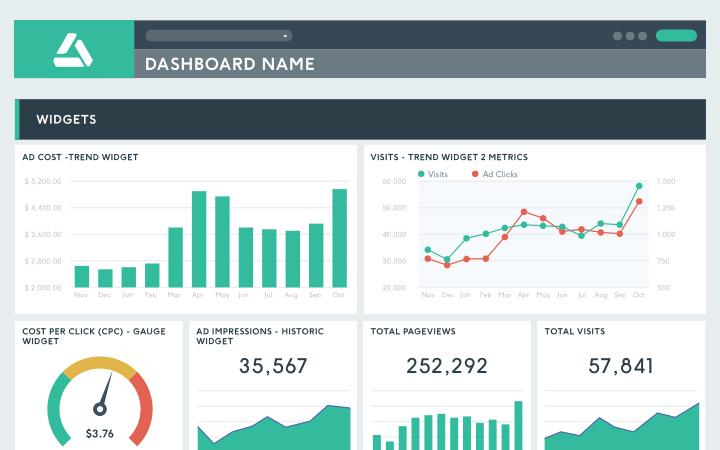 Bring all your data from multiple paid ad campaigns together with our PPC dashboard. Digital marketing without measuring, reporting, and analyzing is like flying blind! Get tricks of the trade from our team to create the best Google Analytics KPI dashboards that your team and your clients can use regularly to create better campaigns and marketing strategies!